When my daughter was a baby, she loved playing with plastic ducks in the bath tub, especially the ones that lit up. Though she is almost 8-years-old now, I have a feeling she’d still love to play with Edwin the Duck. 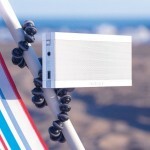 The enhanced smart toy and wireless speaker was created by Indiana-based The Pi Lab, and is currently seeking funding on Kickstarter. Waterproof and floatable, Edwin the Duck is a smart companion with functions that can be used throughout the day alongside an iOS app. 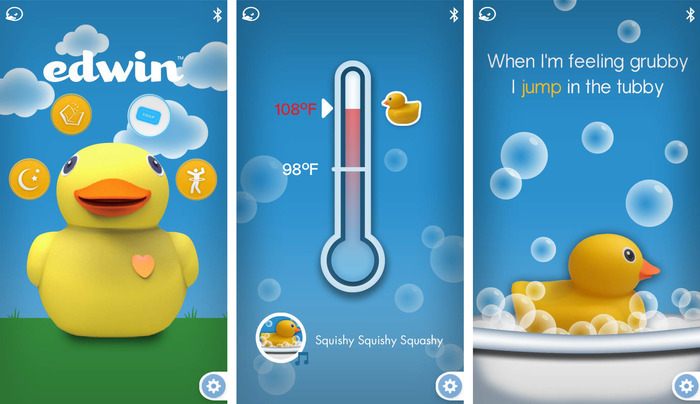 At bath time, Edwin can alert a parent when the water in the tub is too hot. It can also play bath time songs. The Edwin the Duck app offers animated adventure stories that bring important childhood lessons to life. These stories can be tailored to particular challenges and interests. When it’s time for bedtime, Edwin the Duck can play lullabies and also serve as an LED night light and white noise generator. A green nest recharges its battery while the child sleeps. The Pi Lab is currently seeking $85,000 in funding to bring Edwin the Duck to market. This will go towards product tooling and compliance, app development, story illustrations, and song writing. To date, just over $5,000 has been raised. The project runs through Dec. 2. The first Edwin the Ducks are expected to ship in March 2015.